Various submissions from individuals on walking, cycling and recreation draft policies- incl. 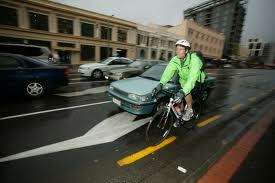 Regional Public Helath, 'Living Streets Aotearoa', 'Cycle Aware Wellington', et al. Presented to the Wellington City Council Strategy and Policy Committee meeting on June 18th 2008. PLease let me know what you think about this document. Are there any issues you would like to include in this submission? Please leave your comments.